In 2015, Hyatt introduced a new brand of hotels called Hyatt Centric. 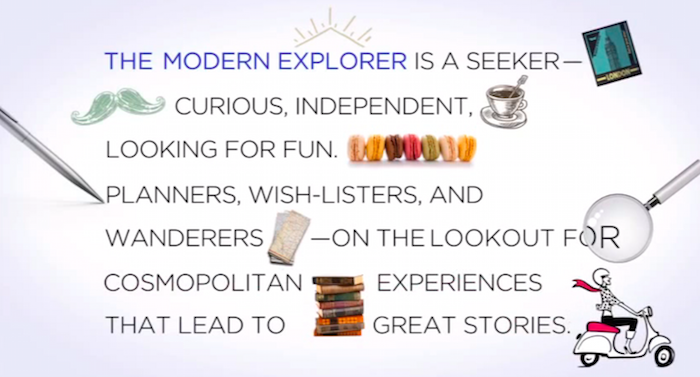 They marketed it as "the modern explorer", whatever it means. After staying in five Hyatt Centric properties, I'm going to share my opinion about the brand. A focus on simplicity, thoughtfully crafted: Hyatt Centric hotels will provide a simple, welcoming environment that delivers the essentials in the easiest, most streamlined way possible. For example, at Hyatt Centric hotels, room service will be offered as a knock n’ drop service, which will allow guests to enjoy gourmet food in their rooms without formal delivery. Additionally, while each hotel will be custom designed to its market, the Hyatt Centric brand will be characterized by certain common elements, including spaces like The Corner, where guests can work, socialize and peruse a curated collection of local books and magazines, and a bar and restaurant area that will help foster great conversations and deliver thoughtful, locally inspired food and signature cocktails. 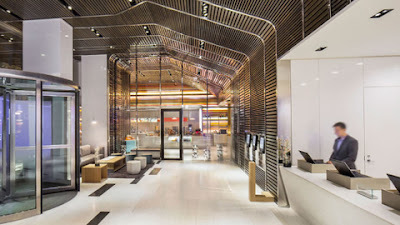 A human touch in a digital world: Hyatt Centric hotels will offer a balance of advanced digital capabilities but with the understanding that these experiences are even more beneficial when combined with a human touch. While guests can enjoy the in-room technologies designed to connect seamlessly with their devices and media, a staff of knowledgeable associates will be on hand to aid guests in their discovery of the destination – particularly useful for business travelers with limited time for exploration. “There’s no substitute for a live conversation with someone who can tell you firsthand about that interesting café you found on your smartphone,” said Rose. The Hyatt Centric Times Square (an overpriced hotel these days), the Hyatt Centric Fisherman's Wharf San Francisco and the Hyatt Centric South Beach Miami are perfect examples of the brand. They were built with the concept in mind and you will find a modern hotel with a great location, without the frills but comfortable and convenient. They have the best bathrobes available in every room and the worse and smaller pillows in the hotel industry. 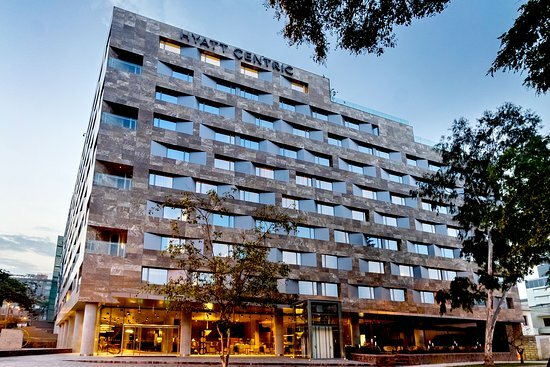 The Hyatt Centric San Isidro in Lima, Peru is a beautiful luxurious property that it's several notches above the Centric brand but still got this name. But by far, is the best Hyatt Centric I stayed in. And in many ways, it's more like an Andaz brand property. Now, the Hyatt Centric Santa Barbara used to be a Hyatt Regency and it seems that they just changed the name since it still looks like a sad and old property that has nothing to do with the Hyatt Centric brand as thousands of reviews on TripAdvisor pointed out. My experience was like staying in a motel. Not sure why this property is even a Hyatt. With 23 hotels in 22 cities around the world, the Hyatt Centric brand is a solid choice for a mid-range hotel. Just watch for the old properties turned into a Centric, they are not you would expect from the brand. 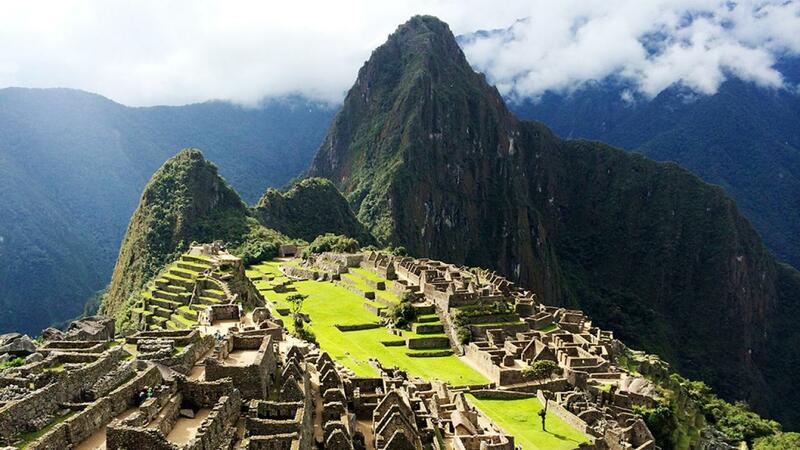 Planning a trip to Peru/Machu Picchu can be tricky. 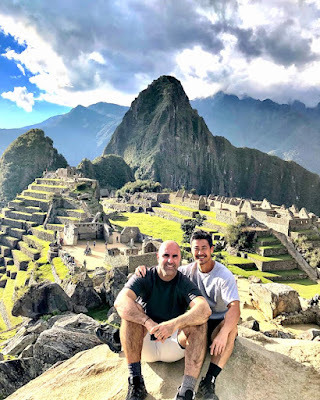 There are a lot of really expansive (=overpriced) tours and hotels in Peru, so read on that I will give you the shortcuts for an amazing journey without breaking the bank. We flew on Latam Airlines from Los Angeles to Lima. We had a great experience, nice and comfortable Airbus, flights on time and good onboard service. We did a 4 hours city tour with Haku Tours. 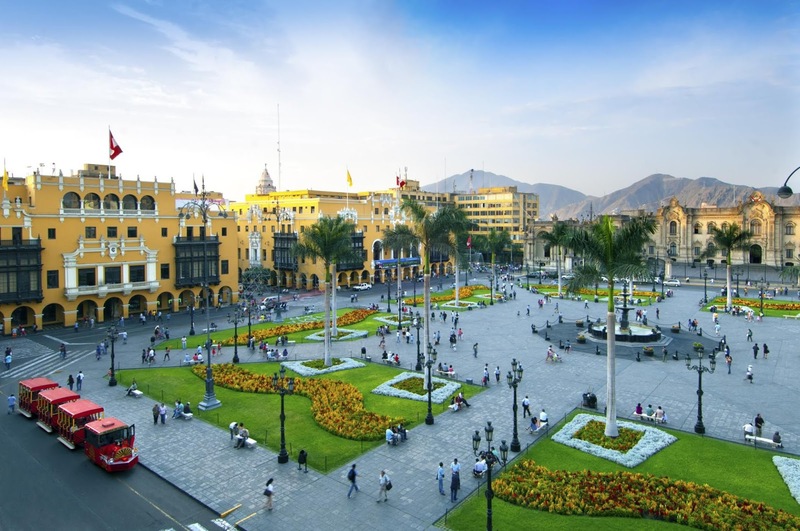 The guide picked us up at the hotel and took us to the historic center of the city and we walked around learning about the history and architecture of Lima. This company is a non-profit, they offer affordable tours (our tour was US$40 per person) and our guide was very passionate about the city. The money they raise helps the poor neighborhoods in Lima. 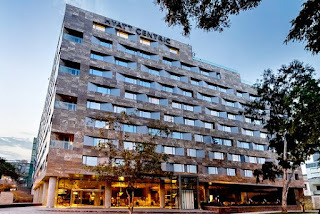 We stayed at the brand new Hyatt Centric San Isidro and we were very happy with this hotel. 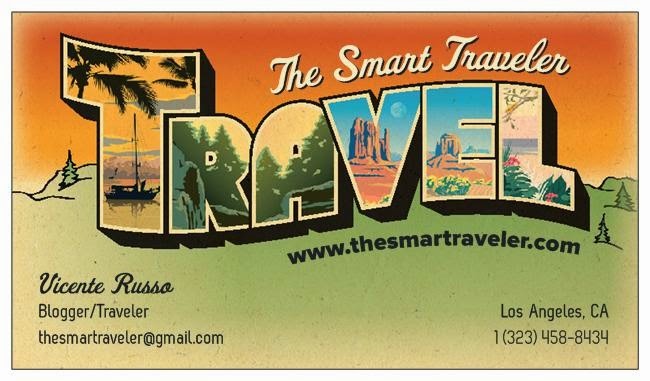 Click here to read my review on TripAdvisor. 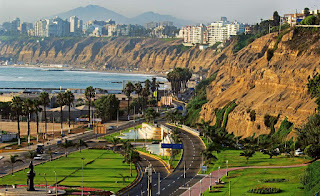 There are plenty of hotels in Lima for every budget. Best neighborhoods: Miraflores and San Isidro. Then we flew with Latam to Cusco (Altitude 3,400 meters). It's a one hour flight. To prevent any altitude sickness we started taking Diamox the day before we ascended and we took it every day we were in the mountains. It helped immensely since we had no issues at all with the altitude. In Cusco, we had prearranged a transfer to the city of Urubamba (90 min drive) with a local company called KB Tambo based in Denver that hires Fullbiketours Peru to operate the tours. I found that out during my tour so it would be cheaper to go directly to the source and avoid the middleman. 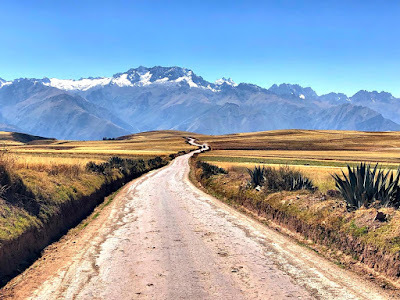 Fullbiketours Peru was professional, knowledgeable and they had the best price for tours in the Sacred Valley that I could find. We were very happy with their services. 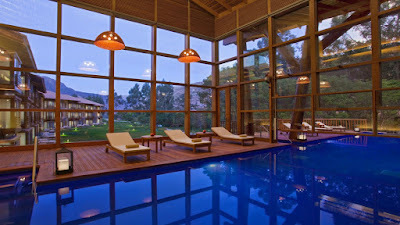 We stayed in the Sacred Valley at Tambo del Inka Resort and Spa for three nights. The plan was to explore the area before heading to Machu Picchu. This is an incredible hotel and we were glad that we spent almost a day enjoying the property. They have the most beautiful hotel pool I've ever seen! Click here to read my Tambo del Inka review on TripAdvisor and click here for my blog about my experience at this hotel. 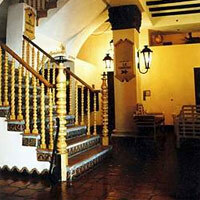 Note that there are lots of good affordable hotels in the Sacred Valley. I heard great things about the Peruvian hotel chain called Tierra Viva and they have hotels all over Peru with great rates. 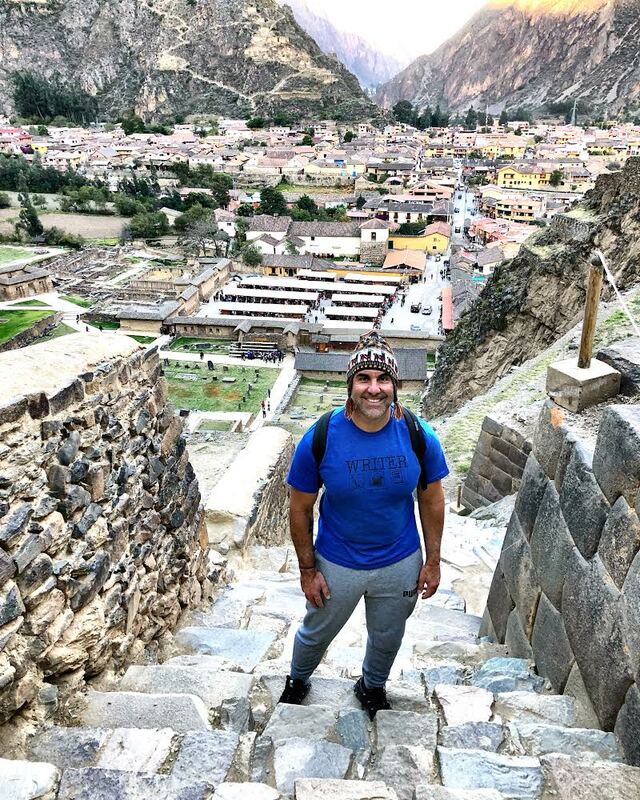 During our stay in the Sacred Valley, we visited all major sites in the area. 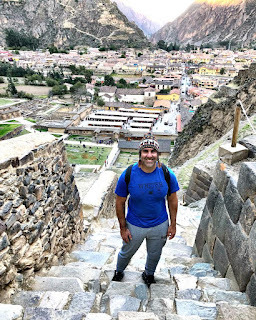 The village and ruins of Ollantaytambo was an incredible experience. 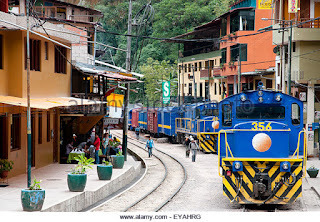 This is where backpackers stay since you find lots of hostels in this area and also the main station for the Machu Picchu train is located here. Don't miss it! We also visited Pisac (ruins and market), Chincheros, Maras (the salt mines) and Moray. You can do everything in one day with a good guide. Driving around the Sacred Valley is breathtaking. This is the main reason most people go to Peru. Once you are there, you realize that there is so much more than Machu Picchu in Peru and you will be glad you went. time and they stop several times during the trip for many reasons. It's just part of the experience of visiting Peru. Enjoy! You must buy train tickets in advance. Click here for the website. They offer three different trains at very different prices. We did the most expansive (Belmond Hiram Bingham) and the cheapest one (Expedition), and honestly, the cheapest one was just perfect for this journey. Aguas Calientes is a charming little village. 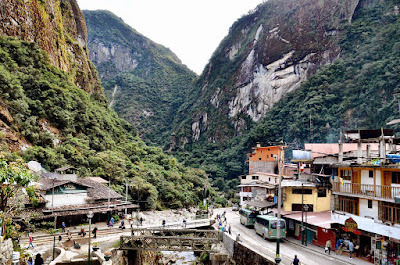 We spent one night at Hatun Inti Boutique Mach Picchu located five minutes from the train station and right in front of the bus stop to Machu Picchu. We had the best meal in Peru at Indio Feliz in Aguas Calientes. We had dinner and went back for lunch the next day. The round trip bus to Machu Picchu costs US$25 and it's a life defying journey up the mountain. The bus dropped us off right at the main Machu Picchu entrance. You will need to have your entrance tickets to board the bus in Aguas Calientes. Buy your tickets way in advance, since only four thousand people are allowed in Machu Picchu per day. You can click here to buy tickets at the Peruvian government official website and print them at home. Avoid third parties websites, they might be bogus or overcharge for tickets. We hired a guide at the entrance and he took us through the citadel placing the ruins in the historical context. Luckily we arrived at 3pm, and we almost had the whole place to ourselves. The afternoon light was perfect for pictures and we had an amazing time. We went back the next morning and it was madness, with people everywhere. 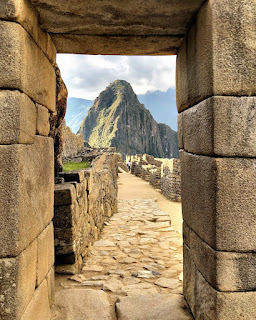 I highly recommend visiting Machu Picchu late afternoon for an enjoyable experience. Machu Picchu is one of those places that you read about, you see thousands of pictures, but once you are there, it will blow your mind. When you go on a cruise they try to sell you stuff everywhere all the time. At least you can see what they are selling and refuse to buy it. At Tambo del Inka at the Sacred Valley in Peru, they found an interesting way (even if it's illegal) to take your money when you are not looking. It may be called "stealing". Tambo del Inka is a beautiful resort in Urubamba, in the heart of Valle Sagrado. From the impressive lobby to the inside/outside pool, gardens, spa, restaurant Hawa - everything is immaculate and luxurious. Service is top notch. Everyone I interacted with was pleasant and helpful. Our room 330 was large and comfortable with a nice garden view, but in need for a few updates: the shower head was clogged and had low pressure, TV was old and was almost falling out of the wall and more outlets and USB ports are needed. Planning my trip to Peru I found out about the 18% tax for hotels and services FOR PERUVIAN CITIZENS AND FOREIGNERS STAYING IN PERU FOR MORE THAN 59 DAYS. After several emails to the hotel and to SPG (all now part of the Marriott group), I was "granted" exemption for this tax - that no tourist should have to pay anyway. But apparently, the hotel charges ALL UNINFORMED GUESTS the 18% tax claiming during the booking process that it's "SALES TAX" - hiding any explanation about the true nature of this tax. That was enough to make the scam alarm go off in my experienced traveler mind. What are they trying to do?? The day before my arrival, I got an email from Jennifer Minaya informing that any extras would be charged the 18% tax fee. 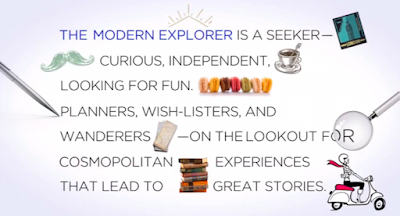 Wrong, illegal and desperate to profit on traveler's ignorance. During my stay, I was able to dispute and remove the 18% tax that was added to two dinners we had at Hawa restaurant and a lunch at the bar, but they refused to remove the taxes from our spa bill. During check out, I signed the final itemized bill but they didn't let me take it. Edwin, Front Desk Manager, said they would email to me. I received through email a manipulated, very confusing version of the final bill, that didn't even reflected the amount I paid. 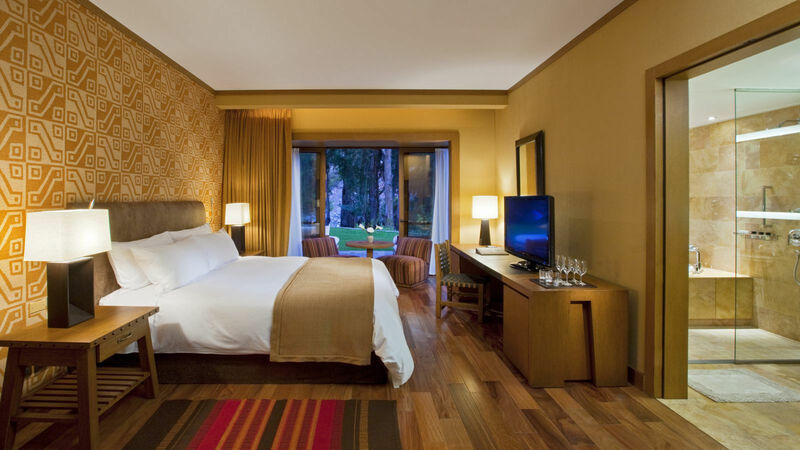 I reached out to SPG and Isaac Pilares, "Guest Relations Manager" at Tambo del Inka sent me emails filled with nonsenses like: "As per Peruvian tributary law we are not allowed to discount the IVA tax". The Peruvian law states that "foreigners staying less than 59 days in Peru are exempt of the IVA tax". All the back and forth just confirmed my suspicion that there is something very fishy going on at Tambo del Inka's accounting! As a world traveler, I NEVER encountered a hotel with such a sordid behavior. I'm shocked and appalled by Tambo del Inka deceiving policies. I made clear several times before and during my stay but it seems that I'm an exception and they are used to do this to everyone else, with no consequences. This whole thing is a stain on a property that could come clean to its guests but instead, they try to trick you into paying for something that is illegal. I hope SPG takes action and fix this aberration! After seeing the misleading advertisement about United Polaris, we decided to try their product on our trip to Asia. It was a long flight LAX-NRT (Tokyo Narita) so we were excited that we were able to upgrade using 30,000 United points and paying US$350 per person on top of our Economy rate. It's interesting that United charges for the upgrade even if they cannot confirm it. I guess greed has no boundaries. 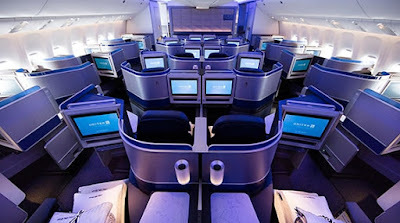 When we first boarded the plane, we noticed the old 2-2-2 configuration that most airlines ditched to offer a superior product, but United is selling Polaris class seats and delivering an old and tired product with a cheap facelift. And note that this is the new 787 plane. The seat is narrow and short. I'm 6'3, large built man and I could not fit in this cramped seat. This is my post on Instagram during the trip. It seems funny but actually was the most uncomfortable long-haul flight I ever took. Service was cordial but cold. Then, the food. They give you a menu to choose from. My partner is Japanese and he chose the Japanese meal. Third row on Business Class: "We are sold out on the Japanese meal." 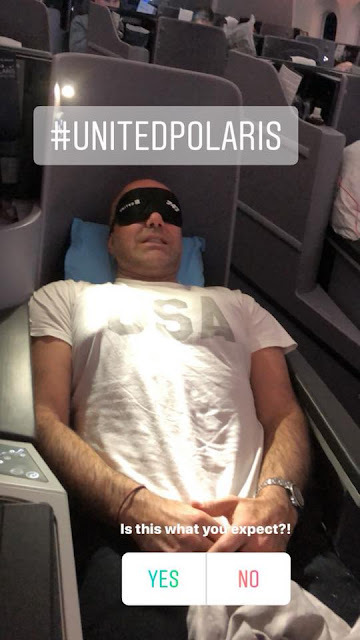 Good planning, United! Even the regular meal looked more like economy class prepackaged tasteless food. Overall the Polaris product was a huge disappointment and a waste of money and points. If you compare to other business class products, like American and Cathay Pacific, United has a lot to learn.